In general, the office is open 8:30 a.m. to 4:30 p.m. Tuesday through Saturday. Holidays are an exception. It is a good idea to call ahead unless you are planning a self-guided visit of the area. The property is gated and there is no vehicle access when the office is closed. Visitors may access walking trails from the parking lot daily from sunrise to sunset. The Fred Berry Conservation Education Center (FBCEC) on Crooked Creek is one of four Arkansas Game and Fish Conservation Education Centers. The 421 Ozark acres that comprise FBCEC lie in a 2.75 mile bend of Crooked Creek just above Kelley's access. 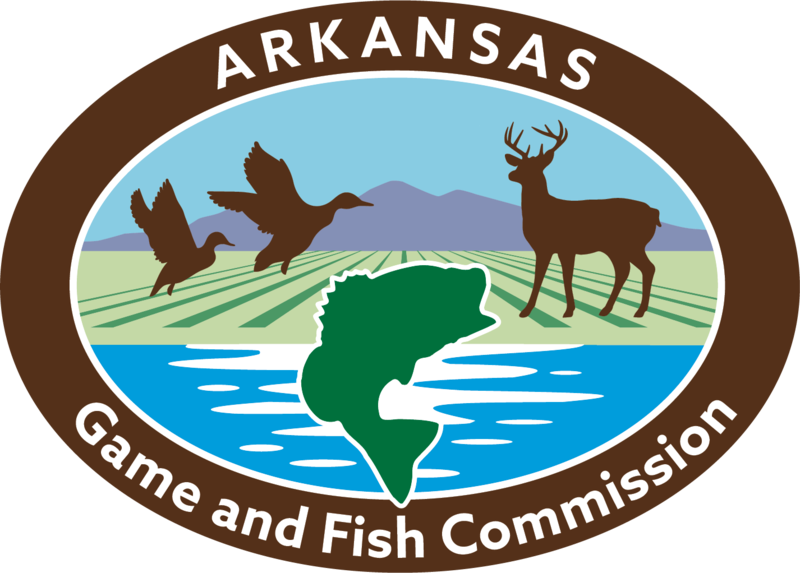 The property, a former dairy farm, is now the site of a joint conservation education project between the Arkansas Game and Fish Foundation and the Arkansas Game and Fish Commission. A generous donation by retired Yellville-Summit school-teacher and counselor, Fred Berry, set the project in motion in 1999. Donations from Berry, and others, provided the land, education building, pavilion and other improvements. The center was opened and dedicated on June 17, 2005. Check the real time USGS water gauge at Kelley's Slab. The education building, pavilion, trails, creek and acres of varied Ozark habitat provide plenty of indoor and outdoor learning areas. The classroom can accommodate up to 40 students, although larger numbers can be seated. It features a wet lab, exhibits and wildlife native to the area as well as an outdoor Ozark native plant garden and wildlife viewing area. The pavilion, which overlooks Crooked Creek and its floodplain, can seat approximately 100 and offers an ideal setting for scouts, 4-H or other groups to camp. Crooked Creek is a free-flowing stream that provides habitat for a diverse range of aquatic, avian and terrestrial species. It has long been known for smallmouth bass fishing. A key goal for FBCEC is to provide interpretive opportunities to students, teachers, landowners and the general public. 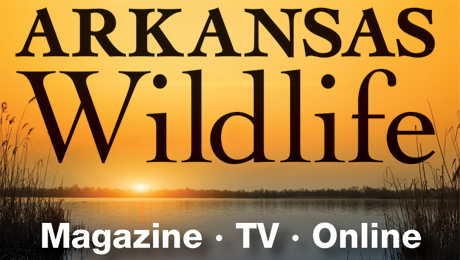 FBCEC is a designated Arkansas Watchable Wildlife site. Well over 100 species of birds have been recorded as well as practically every common Ozark mammal. Visitors are encouraged to bring binoculars and cameras. Almost six miles of hiking trails are available. The Creek Bottom Trail, a 2-mile loop on the floodplain, provides easy access to the creek for fishing or wildlife watching. The Woodland Edge Trail, a 1-mile loop that is wheelchair accessible for 0.6 mile. The Creek Bluff Trail overlooks Crooked Creek for 0.9 miles, where it joins the Woodland Stream Trail. The stream trail courses 0.6 miles of Ozark forest along a picturesque Crooked Creek tributary. Call for additional trail information 870-449-3484. The 3-D archery range at the center provides a challenge to beginning and advanced archers alike. Even non-archers will appreciate the wildlife-viewing opportunities found along the course. Twelve lanes are set with a variety of game animal targets, and are easily accessed by gravel and paved roads. The course is open Tuesday through Saturday by appointment. Stop by the center to check in and for directions to the range. Bird and butterfly checklists are available at the on-site education building or online in the Facility Documents tab above. As its name indicates, the focus of FBCEC is conservation education. Educational opportunities are offered to a variety of groups and in several different ways. Teacher in-service trainings are regularly offered. Teachers also are invited to bring students of any age. Scouts, 4-H and other groups may hold classes, camp, hike, or work on conservation projects. Summer programs and events feature conservation and outdoor recreation instruction for kids and families. The facility is also available as a meeting place for conservation and outdoor education groups. Groups may bring their own lessons or use those from FBCEC curriculum which provides lessons from six different learning tracks. These tracks and lessons are described in the FBCEC Educators' Handbook available as a PDF on this website. The handbook also contains information for scheduling a field trip to the center. Partner curriculum like Project WET, Project WILD, Project Learning Tree, Wonders of Wetlands and Leopold Education Project are also available. If you have questions or special programming needs, call Marilyn Doran at 870-449-3484 or send an email. For more information regarding the Fred Berry Conservation Education Center on Crooked Creek or to schedule a class or group field trip at the please contact us at the phone number above, or send an email. ATVs, firearms and littering are prohibited. No bicycles or horses on walking trails. Pets must be on a 6-foot leash and under control at all times. Fishing is catch-and-release only. A valid Arkansas fishing license is required. Bring your binoculars, camera or sketch pad – you might catch a glimpse of a white-tailed deer, a mink or some of the 137 species of birds that have been spotted at Fred Berry Conservation Education Center on Crooked Creek. Exploration is easy along almost 6 miles of hiking trails. Bird and butterfly checklists are available at the education center. As you enjoy the trails, remember to watch for signs of the animals that live there. 1-mile loop (0.6 mile of this trail is wheelchair accessible). Enjoy the sights and sounds along this self-interpretive watchable wildlife trail. It begins at the parking lot on the west side of Kelly’s Slab. Head downstream through a riparian-buffer restoration area and wind along the edge of an open field. Features of this trail include views of Crooked Creek, woodland streams, a wildlife garden that showcases native plants and steps leading down to the bank of the creek. 2-mile loop. This trail begins near the pavilion. Stroll along Crooked Creek, a blue-ribbon smallmouth bass stream. Catch-and-release fishing is allowed, so pack fishing gear and a license. Watch for easy access to the creek bank at the halfway point. Turtles bask in the sun and great blue herons patiently stalk sunfish. From here, either return by the same route or take the old farm road back through the field to the starting point. Keep your eyes and ears open for eastern wild turkey, northern bobwhite quail and other species of Ozarks wildlife. 0.9 miles, one-way. Access this trail near the creek access on the Creek Bottom Trail or mid-trail from near the education building. Enjoy the view of Crooked Creek as you go. Keep your eyes open for bald eagles and, in summer, painted buntings. Note: The southwest end of this trail is occasionally closed to accommodate trap-shooting practice. 0.3 miles, one way. Archers and hikers are invited to share this watchable wildlife trail. The path skirts the boundary of a 3-D archery course and a promising wildlife viewing area. It’s a regular hangout for whitetailed deer and eastern wild turkey, and provides habitat for bobcats, barred owls, coyotes and more. Archers may be firing at designated targets adjacent to the path so, for safety, hikers must stay on the trail. Archers must obey all range rules. 0.6 mile loop. Begin this primitive trek from the southwest end of the Creek Bluff Trail or from near the firing range parking lot. It features a small, picturesque tributary of Crooked Creek, an old logging roadbed and a lovely Ozark woodland. Give wild animals plenty of space. If you want a closer look, use binoculars or a spotting scope. Move quietly for a better chance to see wildlife. Remember, you are sharing these trails with other visitors and the animals that live here. All animals here - including snakes - are protected. Don't harass or collect wildlife. Collecting plants, rocks and fossils from the grounds is prohibited. Watch where you put your hands, feet and seat. Poison ivy, stinging nettle and sandburs can be unpleasant encounters. Wasps, bees and other stinging insects react unkindly when threatened. Drink plenty of water and use sunscreen while hiking. Keep the grounds free of litter and report trail damage or obstacles.